can lead to digestive upset in any horse. It isn’t the grass itself that is dangerous, but rather the amount of fructan, a specific sugar type that is the problem. Fructans are made up of individual fructose sugars that are bound together in long- and short-chain carbohydrates. The bonds that hold the sugars together cannot be broken down in the equine stomach or small intestine. Rather, they pass into the hindgut where they are easily broken down and fermented by microbes into volatile fatty acids and lactic acid. Volatile fatty acids are normal end products of cellulose and fiber fermentation and horses handle them well. In contrast, lactic acid is not well-utilized. Buildup of lactic acid in the hindgut is a common cause of colic and laminitis in horses. Concentrations of NSC in forages are very dependent on growing conditions, plant species, and development stage. Cool-season grasses, such as timothy, Kentucky bluegrass, and perennial ryegrass, tend to accumulate sugars, starch, and fructan, while warm-season grasses, like Bermuda grass, accumulate only sugars and starch. Concentrations of NSC vary over time and are generally lowest in the morning and highest in the afternoon. Environmental temperature, which varies by season, dramatically affects the NSC levels in pasture plants. The effect of season on NSC is illustrated in the figure that shows average concentrations of NSC in 24 grasses grown in a high mountain valley in Colorado, where sunny but cool growing conditions optimize NSC accumulation. When temperatures are sunny and warm during the day, but drop to near freezing at night (such as during the spring and fall months), cool-season grasses accumulate NSC. In addition, very mature cool-season grasses that are typically found in fall months, which are high in fiber, can accumulate high levels of NSC provided there is still some green tissue left on the plant. During the summer when temperatures are hot, plants rapidly metabolize sugars and levels of NSC decrease in cool-season grasses. 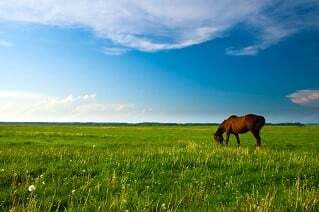 Horses that are prone to laminitis are especially sensitive to pastures with grasses that are high in NSC. Management of these horses and an understanding of the environment effects on NSC in pasture grasses can help minimize recurrence of this painful and debilitating condition. Horses prone to laminitis should not be allowed to graze in late spring. Pasture growth at this time, when nights are still cool and grass is forming seed heads, coincides with maximum NSC concentrations. Pasture turnout should also be monitored during summer drought as this condition may facilitate NSC accumulation in cool-season grasses. Access to pasture should also be limited when fall rains begin as the combination of cool temperatures and a flush in grass growth may increase NSC and trigger laminitis. Some other things to consider that may reduce risk of laminitis in horses include turnout only in the morning when NSC levels are lowest, allowing grazing only in shaded areas, and controlling high sugar weeds. Sugar production is dependent on light intensity; therefore, grasses in the shade accumulate less sugar. Many broadleaf weeds, such as dandelion and thistle, are palatable to horses and may contain high levels of NSC. 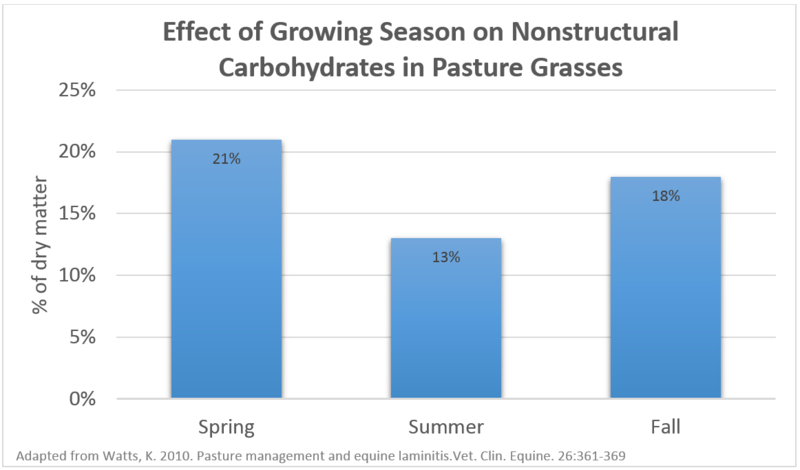 The level of NSC in pasture forages, especially cool-season grasses, are highly dependent on environmental conditions. Since levels of NSC are associated with risk of laminitis in horses, understanding how NSC levels change with conditions is important. Other things to consider before turning horses out on pasture, especially in the spring include: 1) Initially restrict grazing time and slowly increase turnout time to allow horses to adapt to the new feed source; 2) Feed hay before turnout to curb appetites; 3) Feed hay when grazing, especially if pasture grasses are limited to avoid intake of weeds; and, 4) Use a grazing muzzle to limit intake if a laminitis-prone horse must be turned out on pasture.  If you would like to receive this blog from Anderson Hay directly in your email, you can subscribe above on the right. Watts, K. 2010. Pasture management and equine laminitis. Vet. Clin. Equine. 26:361-369.